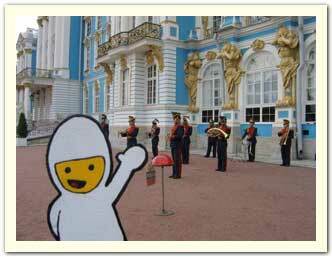 Bumperboy visits Catherine's Palace in St. Petersburg, Russia. August 2003. 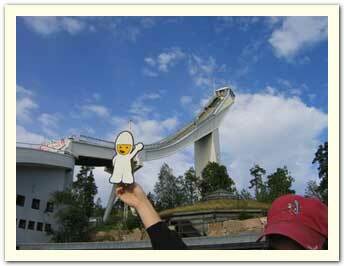 Photo by Christine C.
Bumperboy fantasizes about being on top of the Holmenkollen Ski Jump in Oslo, Norway. 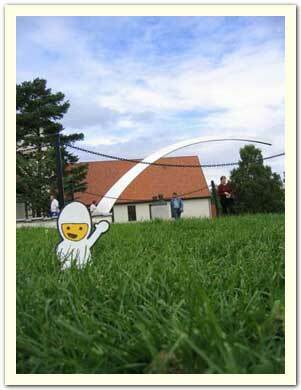 Bumperboy plays in the grass in front of the Viking Ship Museum in Oslo, Norway. 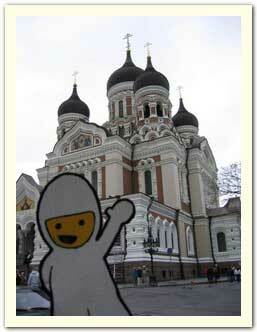 Bumperboy poses in front of the Russian Orthodox Church in Tallin, Estonia. 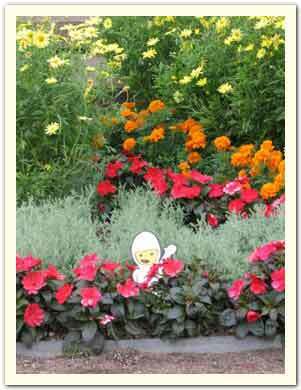 Bumperboy smells the flowers in Helsinki, Finland.